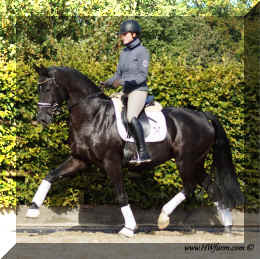 International quality gaits, fairy tail looks, superb airtime, true FEI candidate, up and coming Super Star! ForYou HW Impressive and chic FEI candidate with outstanding looks and movement. 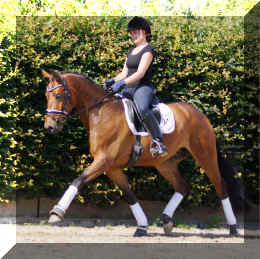 First Romance HW Compact, easy to ride/handle and fancy, superb future FEI star, already at 2nd level! 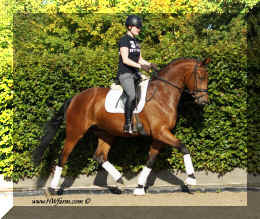 Duke HW Compact and fancy, superb future FEI star, ideal for the Young Horse Classes, De Niro and Rubinstein bloodlines! Black Beauty is alive! 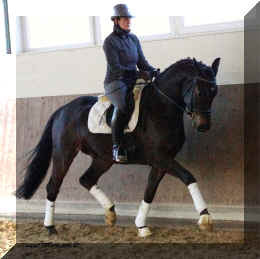 Exceptional FEI prospect with dream bloodlines, at 2nd level! Damon's Design HW World Class bloodlines, looks, movement and mesmerizing type with a perfect temperament and very willing attitude. 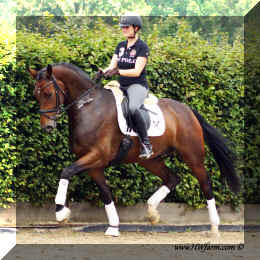 Definite future FEI horse and super STAR! 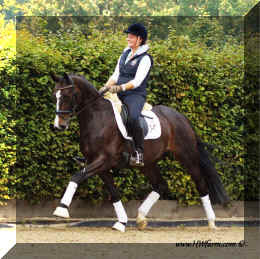 Dancing Empire HW Extensive, successful show record, scores up to 8.2, freedom of movement with the ability to sit and elevate, now winning at 3rd level, FEI - here we come! 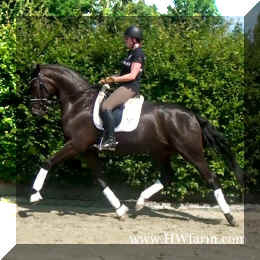 Festival HW Future FEI candidate, amazing movement & looks! 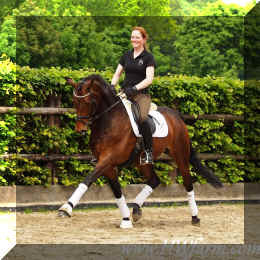 Franklin HW Full brother to BundesChampion Fuerst Fohlenhof, out of Fuerst Piccolos dam, future FEI candidate, with sensational, elastic movement and superb temperament, sired by BundesChampion Fidertanz! For Valentine HW BundesChampion Fidertanz son, a very promising, future international competitor.